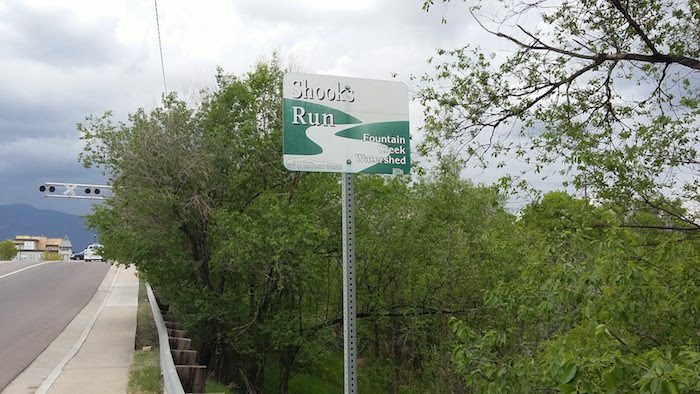 From anywhere in the east end of Colorado Springs, the best bet is the Shooks Run Trail, a flat, paved 4 miles. This run is best as an out and back, which is especially fun along the river in South Shooks Run Park. It’s also a great chance to explore the Colorado Springs street art scene, which pops up on bridges and brick walls along the way. For a longer run, you can meet up with the Rock Island Trail in the north, the Pikes Peak Greenway in the north or south, or combine them for the 10 mile Legacy Loop around Colorado Springs.